The problem is affecting native species across mainland Europe as well as the UK and is thought to be the result of misguided attempts at biological control. 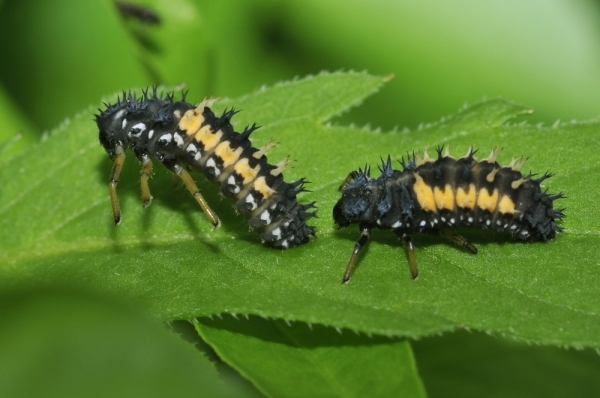 We have seen biological control backfire several times over the last two centuries, with the 'control' species often becoming a pest species itself or having other unpredicted effects. Harlequin ladybirds originate in Asia and are causing problems across Europe, but particularly in Britain, Belgium and Switzerland. The study, published in Functional Ecology, warns of dwindling numbers in 8 of Britain's native species; of particular note are native two-spotted ladybirds that are similar to the harlequin in appearance and habits yet smaller in size. This gives the harlequin an advantage over food sources and habitat territory. 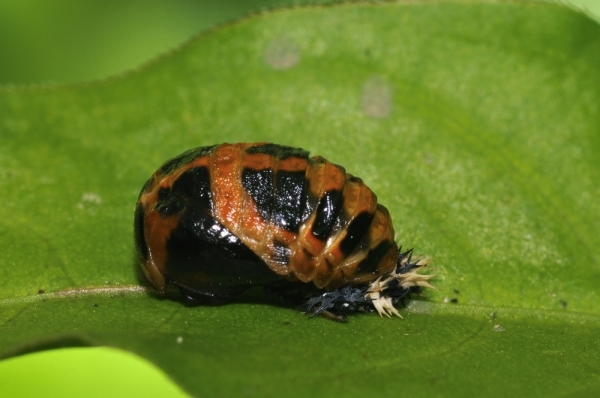 The more food a ladybird eats, the more defensive chemicals it can produce and it therefore becomes unpalatable to predators, increasing its chances of survival: "Producing warning signals and chemical defences is costly so when individuals lack access to an abundant supply of food they produce relatively weak chemical defences," said Jon Blount from Exeter University. The similar appearance of the harlequin and native British species means that gardeners are not advised to squash suspected invasive species for fear of killing more native individuals. It is also important to remember that not all UK native ladybirds are spotted, so it is unadvisable to squish any striped, yellow or other unusual ladybird on the assumption that it is invasive; only 26 of our native 46 ladybird species resemble the spotted caricature of a ladybird. "I would highly recommend gardeners to make their gardens suitable for ladybirds and encourage them in, rather than releasing mail order insects. Ladybirds are so mobile they simply disperse after release, even if in a greenhouse." The multi-country study from several partnership universities investigates other possible causes of the decline in the UK species' numbers, however there seem to be clear links between the arrival of the harlequin and the decline in native species population numbers. "This study provides strong evidence of a link between the arrival of the harlequin and declines in other species of ladybird," said Helen Roy from the Centre for Ecology and Hydrology. The study made use of the general public's amateur recording of sightings and covered an incredibly large surface area with over 85,000 observations in the UK alone. The ecosystem services provided by native species are under threat according to Tim Adriaens from the INBO (Institute for Nature and Forest) in Belgium. "Ladybirds provide an incredibly useful ecological function by keeping aphids in check... At the continental scale, the arrival of the harlequin could impact on the resilience of ecosystems and severely diminish the vital services that ladybirds deliver."